If you choose the types of fish carefully, Tropical Fish are great pets for almost any household. 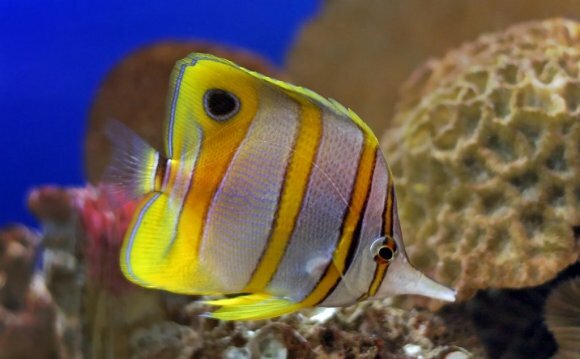 Check out our Tropical Fish care tips for beginners. You’ve been eyeing the lovely aquarium of tropical fish at a friend’s house or even your dentist’s office, and now you’re thinking you’d like one of your own. If you choose the types of fish carefully, tropical fish are great pets for almost any household. Do routine maintenance regularly, instead of waiting for something to go wrong. Why should you choose river fish for your first fish tank? They are the easiest to keep healthy in a small body of water such as an aquarium. Most popular lake fish and marine critters need the water conditions to remain perfectly stable. River fish can handle fluctuations in acidity and temperature more easily than the others. As a result, adding water to the tank each week or two is less of a risk, you’re less likely to kill your fish be changing the medium in the filter, and a heatwave or sudden winter “cold snap” will be less likely to make your fish sick. Starting with small fish (specifically, small fish that will stay small) makes sense unless you can afford a truly gigantic tank. Most popular fish need to live in groups, and the fastest way to a smelly, unhealthy mess of a tank is to overcrowd it. One inch of fish-length per gallon of water is a good rule of thumb. Before choosing your fish, make a trip to the pet store and see what fish appeal to you. Make a list of the names of the fish. Now, go home again and look up these fish on a decent website. How big do they get? For example, black ghost knifefish are beautiful and fascinating, and the little 3″/7cm babies are the cutest fish ever, but do you have room a school of 18″/45cm adults? On the flipside, the cherry barbs and cardinal tetras aren’t going to grow much. If you plan to have more than one kind of fish in your tank, also check how many you’ll need per species (count on at least five, for schooling species) and whether the water requirements are compatible…and whether the fish themselves are compatible. Siphon and hose, to “vacuum” the gravel, and a clean bucket that has never had soap in it (traces of soap will destroy your fishes’ gills) for water changes.